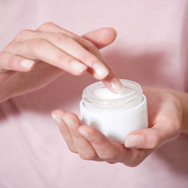 If you’re spending money on skin care products that come in jars, you’re doing your skin a major disservice, especially when buying anti-ageing products. We reveal what the research has to say about this topic and share the kinds of effective skin care packaging required for maximum benefit. Research makes it clear that many of the best ingredients for skin—including antioxidants and anti-ageing champions like vitamin C and retinol—break down in the presence of air. Essentially, opening a jar* lets air in, causing these important ingredients to begin deteriorating, becoming less and less effective with each use. Our CLINICAL 1% Retinol Treatment uses a double-walled opaque container and is filled via a unique stabilising process, allowing for next-to-zero exposure to oxygen. The key takeaway: Minimising air and light maximises your skin care benefits.